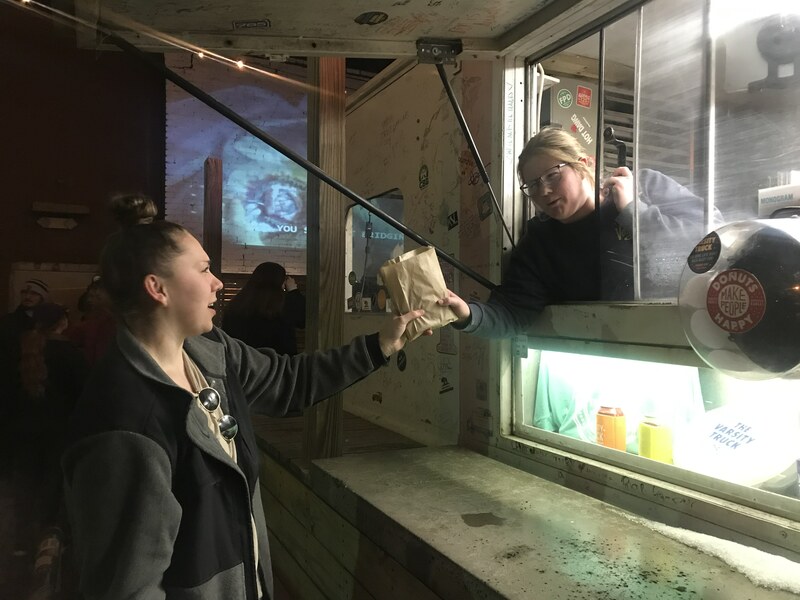 While students’ motivation may have been slowing down in the brutally cold weather before spring break, business at the Varsity Truck in Aggieville was still going steady on March 7. The eatery is located in a food truck behind the Varsity Donuts storefront. 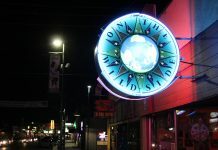 Moore has been working at the truck for two weeks, but she said her short time there has already been defined by several crazy encounters, mostly with intoxicated individuals taking a break from a night out. Moore said she loves working at the truck, and apparently customers feel the same way about her. “People tell me they love me, and I’m just like, ‘Okay! '” Moore said. One avenue to the Varsity Truck is through an alley connected to Moro Street. In recent weather conditions, this alley has often been covered in a thick sheet of ice. 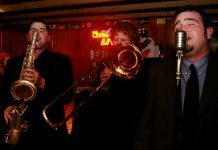 Moore said a typical night at the truck includes ebbs and flows of business. 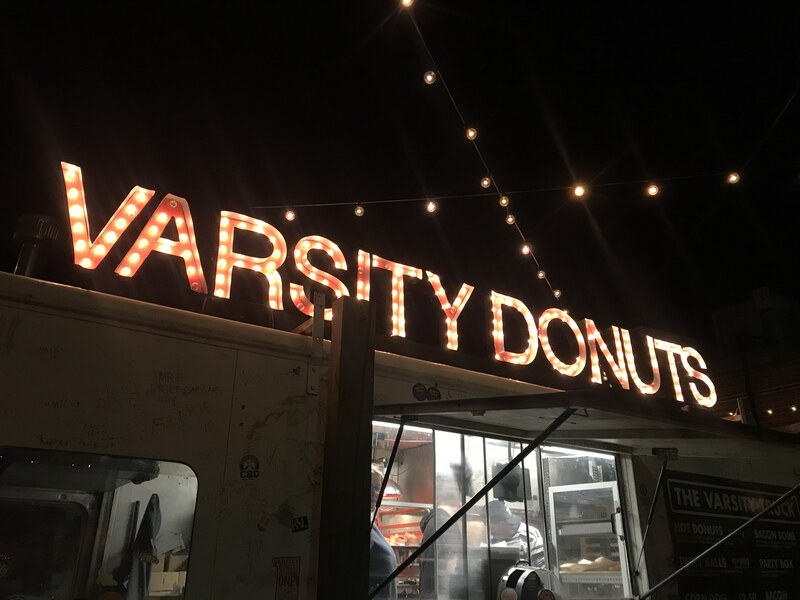 Morgan Gantz, senior in animal sciences and industry, said the Varsity Truck is a great spot to visit if you’re hungry and not sure what to do with your night. She and some friends stopped by the truck that Thursday to fill a lull in their plans. She said they didn’t spend much time out in the cold. While some students make their trip to the Varsity Truck the main event of the night, others find the truck to be a place to unwind and recharge for just a moment. 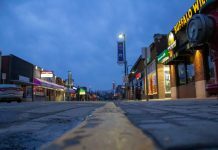 While it may be relatively chaos-free, one thing the Varsity Truck can’t protect customers from is the cold. Still, that doesn’t seem to stop them from coming.